Last Week: Pretty dang close! Friday looked right on, and Saturday wasn’t windy. Sunday the front and storms moved through early enough so that it was rocking in the evening out of the north! Today: Looking too calm. 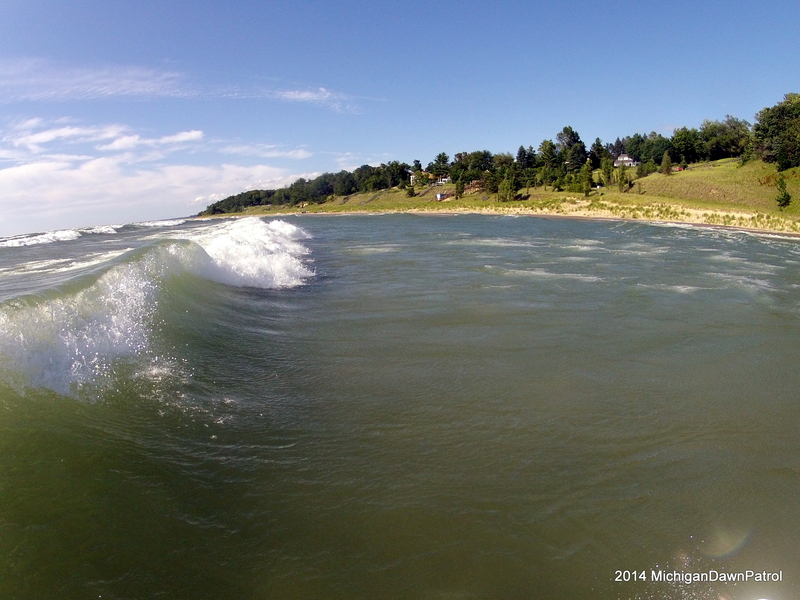 The sun is out and there is a slight breeze out of the south so, it’s not of the question that Little Sable Point could be rideable, but I wouldn’t be packing the car and heading up there just to kiteboard. If you’re already in the area, could check it out. Saturday: Forecast does not look good, but I wouldn’t be surprised if a NW wind off the cool waters of Lake MI developed. It’ll also depend on how sunny it is in the morning and afternoon. If it does happen, a couple good spots might be Manistee and Muskegon. Grand Haven will be too busy due to the Coast Guard Festival. It’s worth keeping an eye on the wind meters or bringing your kite gear with you to the beach if you have beach plans. Sunday: Another not so good forecast, however it does have potential for Little Sable and Pt Betsie to fire in the afternoon under sunny skies and a southerly flow on Lake MI. I’ll keep an eye on the potential for this to happen. Right now, it’s not looking great. Water turned over last Sunday night and it is full suit temperature right now in the 50’s. Looks like its still worth while to watch for a NW thermal this afternoon along the lakeshore.